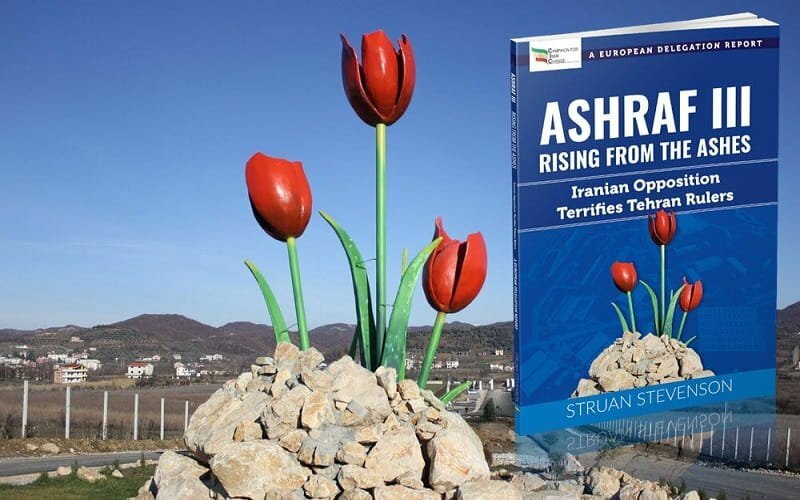 Struan Stevenson Publishes New Book on the MEK and the new residence of the MEK in Albania, Ashraf III . 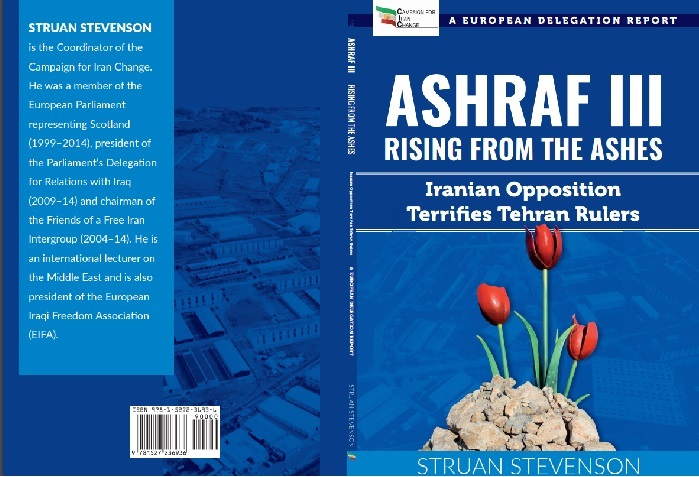 Struan Stevenson, a former Member of European Parliament representing Scotland and longtime supporter of the MEK, has written a new book, Ashraf III, Rising from the Ashes: Iranian Opposition Terrifies Tehran Rulers. 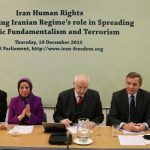 The book, which describes the widespread protest movement currently taking place in Iran that threatens to topple the theocratic regime, also details the regime’s efforts to demonize the MEK over the past forty years and its numerous attempts to destroy the organization through missile strikes, smear campaigns, and terrorist plots. The book’s main focus is the MEK’s struggle to find a safe haven, first at Camp Ashraf in Iraq, then at Camp Liberty in Iraq, and finally at Ashraf 3 in Albania. Thousands of members of the MEK lived in exile at Camp Ashraf and Liberty from 1986 until 2017. After the withdrawal of U.S. forces from Iraq, the MEK camp was targeted by repeated deadly missile strikes. These strikes were ordered by Iraqi Prime Minister Nouri al-Maliki at the behest of the Iranian regime. After years of negotiations and deteriorating conditions, the Albanian government agreed to allow the MEK to move its headquarters to Tirana. The new MEK camp, Ashraf 3, is home to 3,000 MEK members, all of whom have a personal stake in working toward the goal of a free Iran. These “Ashrafis” have worked tirelessly to a home for the Iranian Resistance. Struan Stevenson visited Ashraf 3 last year, along with two other MEPs, Tunne Kelam & Jaromir Stetina. The delegation toured the camp and spoke to the residents there about their stories and motivations for working for the Resistance. In his book, Stevenson writes about the efforts the Ashrafis have made to forge relationships with the Albanian community. He emphasizes the resilience of the MEK members in rebuilding their home after decades of attacks by the Iranian regime. 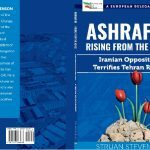 Ashraf 3, says Stevenson, serves as a beacon of hope to the 80 million Iranian citizens who pray for freedom from oppression. The people of Iran see the MEK as the only viable democratic alternative to the theocratic regime, and the Ashrafis take this responsibility seriously. Stevenson’s report describes the current unrest in Iran that has arisen since the widespread uprising by the Iranian people in late 2017. The book details the regime’s response to the protests, which has included a massive crackdown on any political activity. Stevenson discusses the arrests, executions, imprisonment, and intimidation of the Iranian people and the failure of the regime to respond to the concerns of the protesters. He also shows how the regime has increased its efforts to censor social media and access to the Internet, as well as its demonization campaign against the MEK. Stevenson also criticizes Federica Mogherini, the E.U. High Representative for Foreign Affairs, for her failure to address the regime’s human rights abuses. Incredible EU still looking for loopholes to help Iran avoid US sanctions, despite Iranian diplomat's arrest for terrorist bomb plot targeting peaceful rally in Paris. Shame on Federica Mogherini, EU's chief appeaser. Struan Stevenson’s book may be purchased from Amazon.com. The British Parliamentary Committee for Iran Freedom recently added its name to the list of those supporting the decision by the Albanian government to expel two Iranian diplomats from its borders. The British MP’s statement detailed the numerous attempted terrorist attacks by the regime and its operatives against the MEK and the Iranian Opposition that have been thwarted over the past year. Since March 2018, regime agents have been arrested for espionage or attempted terrorism in Albania, Belgium, the United States, and Norway. The British MPs conclude: “The Albanian decision to expel Iranian diplomats sends the right message to Iran, the world’s leading state sponsor of terrorism, that European countries will not accept such unacceptable and illegal behavior by the regime”. Martin Patzelt, a member of the German Bundestag for the Christian Democratic Union Party, wrote an op-ed piece in Online Focus. 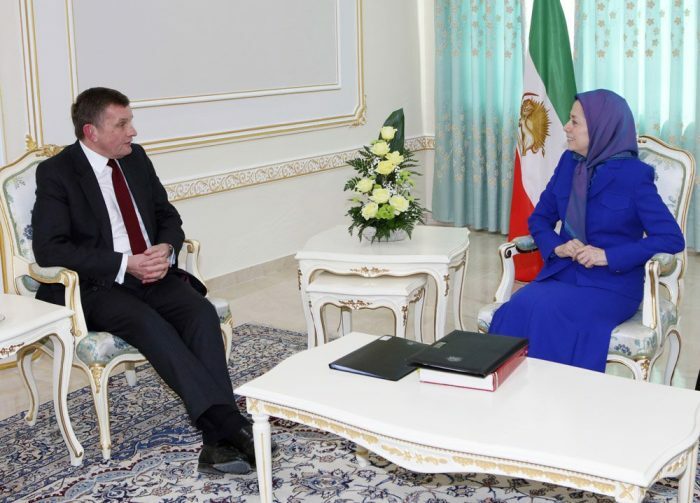 The politician praised the Albanian government for their role in the fight against the Iranian regime and called on Europe to do more to oppose Iran’s state-sponsored terrorism. He began by describing the important role Albania has played in welcoming persecuted communities. 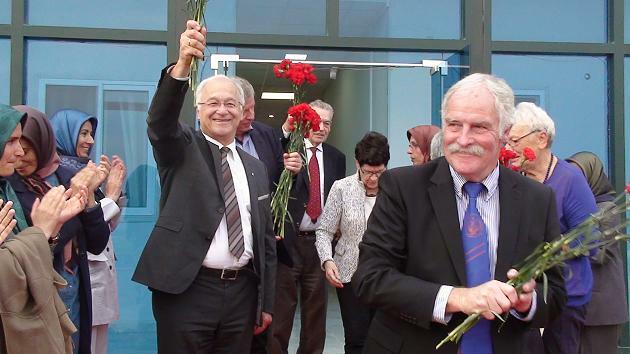 They housed Jews persecuted by the Nazis, and today, the country hosts the People’s Mujahedin Organisation of Iran (MEK), an Iranian pro-democracy group living in exile. Patzelt praised Albania for its “contribution to peace and humanity”, remarking that “after decades of dictatorship, the Albanian people know… the value of freedom”. However, Patzelt lamented, the European Union has not shared Albania’s enthusiasm for upholding Iranian human rights and protecting democracy. Following Albania’s admission of the MEK, the Iranian regime intensified its terror activities on Albanian soil. 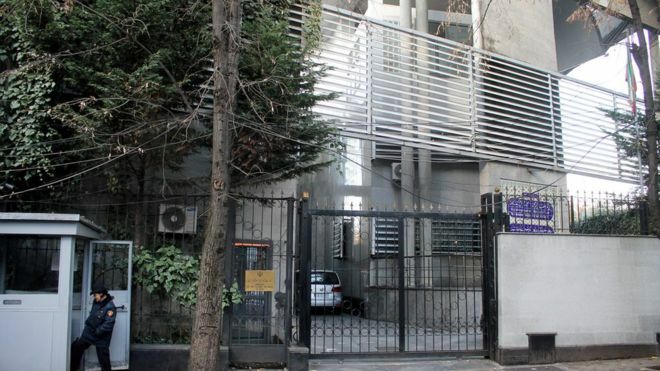 The Iranian embassy in the Albanian capital of Tirana nearly doubled its personnel numbers and devoted a section of the embassies activities to planning attacks against the MEK and its members. But the MEK was not deterred and channeled its efforts into the construction of a compound outside the capital. In just twelve months, a compound complete with dormitories, dentists, meeting rooms, a sports center, stores, and hairdressers has been constructed. The MEK and its members live in the compound in relative safety behind its walls. However, the Iranian regime has attempted to violate this haven. 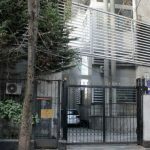 In March, two regime agents were arrested in connection with a plot to bomb the MEK compound during the Persian New Year celebrations. In response to this attempted terror attack on Albanian soil, the Albanian government expelled the regime ambassador to Iran, as well as other high-profile diplomats in a stern message of defiance to the Iranian regime. Despite Albania’s strong stance, few other European governments are willing to follow suit. Many would prefer to maintain a policy of appeasement to the Iranian regime. Patzelt lamented, “this is all the more inconceivable since just this year, in France, Germany, Belgium and Denmark assassination plans or dangerous intelligence activities were conducted by the Iranian regime”. Patzelt asserts that the regime’s surge in terror activities is due to the mounting domestic pressure it is facing at home. 2018 has seen a wave of protests break out across Iran, affecting many of its key sectors including logistics, education, and manufacturing. Patzelt concludes that “Iranian expansionist policy” and its “chaos in the Middle East and unbridled expansion of fundamentalist ideas and ideologies” should be countered wherever it occurs. “This includes the support of people who risked their lives for freedom” who “now need to be protected themselves”. The heads of state in Europe should adopt a tougher stance against the Iranian regime, not just to protect dissidents and Iranian human rights, but to protect their own national security interests from Iranian terrorism. 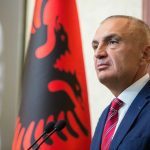 Ilir Meta, the President of Albania, expressed his support for the expulsion of the Iranian regime’s diplomats. 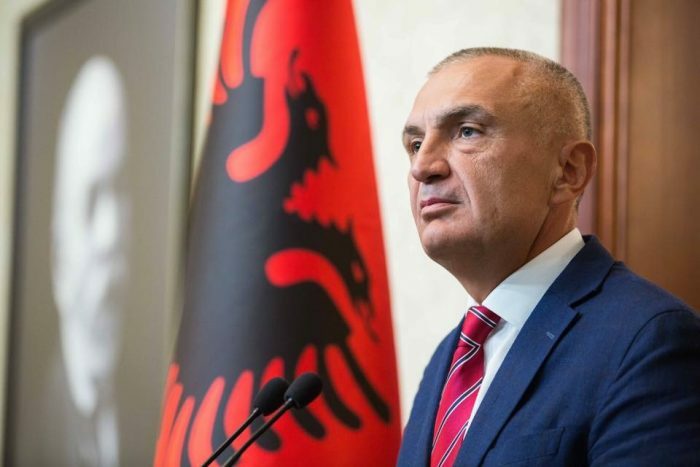 On Saturday, December 23rd, Albanian President Ilir Meta stated his support for the recent expulsion of Iranian regime diplomats from his country. Meta said that the regime’s ambassador and the head of Tehran’s Ministry of Intelligence and Security branch in Albania’s activities posed a threat to national security and that their expulsion was necessary. Albanian Interior Minister Sandër Lleshaj also spoke about the expulsion of the regime diplomats in an interview on the same day. According to Albania Daily News, Lulzim Basha, Albanian Democratic Party leader and head of the opposition, also expressed support for the expulsion of the Iranian regime diplomats, citing national security concerns. 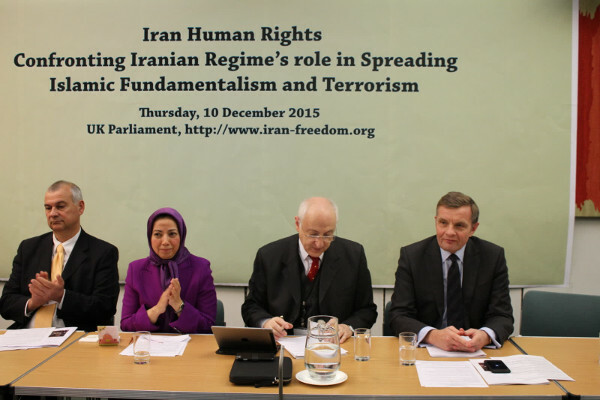 The Iranian regime has been directly implicated in a number of foiled terrorist plots against the MEK this year. 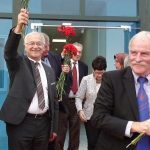 Since the MEK relocated its residence to Albania, its members have been under constant threat by regime terrorists. In March 2018, a terrorist plot by regime agents against a MEK Nowruz celebration in Albania was foiled. On Wednesday, December 19th, the Albanian government announced its decision to expel Iranian regime’s ambassador Gholamhossein Mohammadnia, as well as another “diplomat” based in the country in response to an increase in terror activities. The identity of the second diplomat has not been revealed, but anonymous sources familiar with the decision claim it is Mostafa Roodaki, the first secretary of the Iranian embassy in Albania. The government cited “damaging” Albanian “national security” as the reasoning behind the decision. The People’s Mujahedin Organisation of Iran (MEK) has established a compound near the Albanian capital of Tirana. Its members live in exile in the country. The MEK compound has been the target of Iranian aggression throughout 2018. In March, the MEK compound was the target of an attempted car bomb attack. During the Persian New Year celebrations, the Iranian Ministry of Security (MOIS) planned to attack the compound. The plot was foiled when Albanian authorities detained two MOIS agents in the country and had them expelled. Shortly afterward, in June, the MEK’s annual Grand Gathering event in Paris was targeted in a violent regime attack. 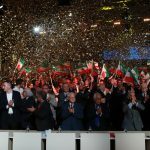 Again, a car bomb was to be used at the event where more than 100,000 MEK members and allies of the Iranian opposition were gathered. Like the attack in Albania, the plot only unraveled once European authorities arrested a Belgian-Iranian couple traveling to the event with homemade explosives. An investigation carried out by French authorities in the aftermath of the incident revealed that the senior leadership of the Iranian regime had been directly involved in the planning of the attack. The revelations prompted the French government to expel diplomats and seize assets belonging to the MOIS on French soil. Alongside the violent terror campaign, the MOIS has embarked on an extensive disinformation campaign designed to vilify and demonize the MEK. The MOIS has published large amounts of Albanian-language propaganda in an attempt to turn public opinion against the MEK. Following the Iranian government’s decision to remove the Iranian ambassador, supporters of the Iranian opposition movement from around the world lined up to show their support. Donald Trump, in a letter, addressed to Edi Rama, personally thanked the Albanian government for its “steadfast efforts to stand up to Iran and its destabilizing activities and efforts to silence the dissidents around the globe”. The Albanian Interior Minister, Sander Lleshi then said in an Interview with Albania’s Vision Plus TV that “MEK members have been threatened by the Iranian Security Services”. 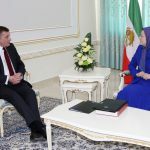 Explaining the Albanian government’s decision to expel the Iranian diplomats, Lleshi said, “we have welcomed them [the MEK] as friends”. Maryam Rajavi, the president-elect of the Iranian opposition, welcomed the assessment and decision. She called the expulsion a “courageous act” and a “necessary step in countering terrorism”. The expulsion of the diplomats no doubt improves the safety of Albania for MEK members and other individuals affiliated with the Iranian opposition movement. However, the Iranian government remains active in the government and the threat is far from over. The Saadi Foundation in Albania remains affiliated with the Iranian government and the MOIS will still be able to launch attacks on the MEK as long as this organization maintains a presence in the region. 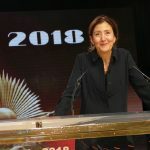 Colombian-French politician, Ingrid Betancourt and the former Colombian presidential candidate, addressed members of the People’s Mujahedin Organisation of Iran (MEK) and their allies in Albania, emphasizing that “Time has changed. You [the MEK] are the hope, Maryam [Rajavi] is the leader and we are with you and we are going to win this” referring to MEK’s struggle to free Iran. Betancourt expressed her gratitude towards the Albanian government and delight at what she said was a “very special moment” for her. “Many years ago we were fighting for your lives when you were in Camp Liberty and we were feeling the despair and the rage of being caught in that horrible situation where we were surrounded by lies and… the only thing we could do was [cry] for help and [denounce] what was happening”, she said, adding, “to see you here in this land that has welcomed you with open arms… thank you, Albania. Thank you”. She expressed her warmth towards the country. “I feel at home because I see that this is a country that has decided to take the good side of the choices of options in life”, she said. “What Albania has done… has gained the respect of all the international community”, she proclaimed. Betancourt described how she had insisted that on this visit to Albania, she would not stay in a hotel, but she wanted to be with the MEK members at their Ashraf 3 compound outside Tirana. Following the Iranian regime’s mortar attacks and liquidation of the Camps of Ashraf and Liberty in Iraq, in which many MEK members lost their lives or were badly wounded, the MEK fled to Albania. In just 12 months, the group has built a sprawling compound, aptly named Ashraf 3. The compound has its own water purification facilities, dormitories, dental center, pharmacies, bakeries, a sports complex, library, meeting hall, and learning centers. Betancourt marveled, “You are like the phoenix that rises from the ashes and this Ashraf is telling me the power that is in you”. “You have built a community of people”, she continued, “that are committed to fighting for a free Iran.” Betancourt expressed her delight at the “city” under construction at Ashraf 3, where MEK members and supporters from around the world are united in their passion and desire for a free Iran. The resilience and determination on display across the MEK is a direct threat to the mullahs’ future in power in Iran. “Can you imagine”, Betancourt asked, “what it is for the government of Iran, the regime of the mullahs, every day looking at the newspapers and finding out that there is a riot somewhere in some place in Iran?” “Every day you are reminding them that they have no right to be at the head of the state in Iran”, she added, “every day, you are reminding them that it’s going to come to an end”. Without the MEK, the protest movement in Iran would not be possible. “It’s because you are here, organized, with the plan… with a strategy, with a leader like Maryam Rajavi”, that the people of Iran feel empowered to take to the streets. Betancourt described how Maryam Rajavi disarms the regime’s terrorism and violence with love. “Love is the one that will bring Iran to freedom”, Betancourt asserted. 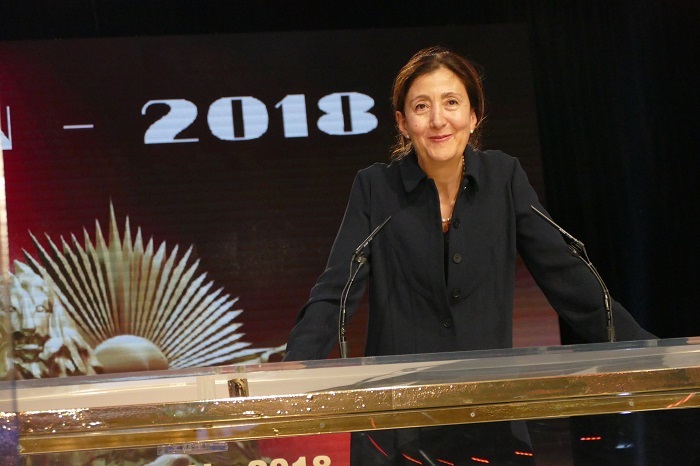 Betancourt described how just five years ago, the MEK was fighting to get its name removed from international terror lists in the West after Western government included the pro-democracy group on the lists to appease the mullahs. Betancourt continued, “now it’s them who fear”. “They are fearing that they will be brought to justice. And this is our commitment. We are going to make sure that we free Iran and that we bring them to international justice”. Finally, Betancourt concluded, “We want them to be in jail for all the crimes they have committed”. 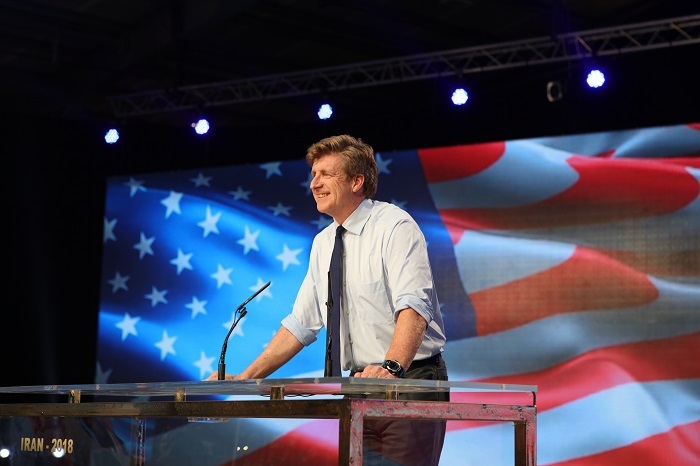 Patrick Kennedy, a former Democratic representative of the U.S. House of Representatives, gave a speech to members of the People’s Mujahedin Organisation of Iran (MEK) living in exile in Albania. 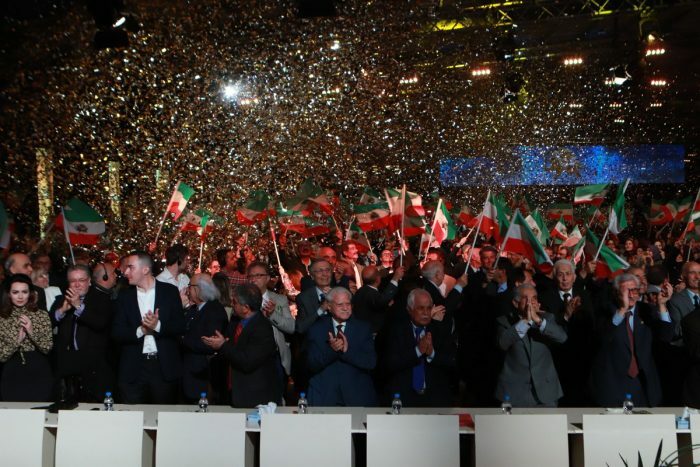 In the speech, he thanked Albania for being a kind and willing host to the Iranian opposition group and drew parallels between the two countries. “Anwar Khoja stole your country from you. Just as the mullahs have stolen Iran from the Iranian citizens”, he said. Kennedy went on to address the recent surge in regime aggression against the MEK. He cited recent terrorist plots in Europe that targeted the opposition group, and the mullahs’ online misinformation campaign designed to turn public opinion against them. “Major social media companies like Twitter, Google, and Facebook have all in recent months, suspended and removed hundreds of fake accounts”, he said. Kennedy’s comments come just a few weeks after Twitter announced the removal and suspension of more than 770 regime-affiliated accounts. “Tehran-backed terrorist attacks in France, Albania, and Denmark were foiled by close cooperation between the police and the security and judicial authorities of several European countries”, he continued, adding that the foiled plots of 2018 were reminiscent of the regime’s violent campaign against dissidents in the 80s and 90s. Although the attacks have been similar to those of the last century, the responses have not. Kennedy lamented that the West has not shown the same resolve and determination in opposition to the Iranian regime today. The response to the 2018 attacks has been “very, very weak”, he said, “and inappropriate to the emerging threat” of the Iranian regime. 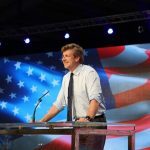 Kennedy went on to suggest that the rationale behind the regime’s terror and misinformation campaigns was that the MEK represented a threat to its continued existence. 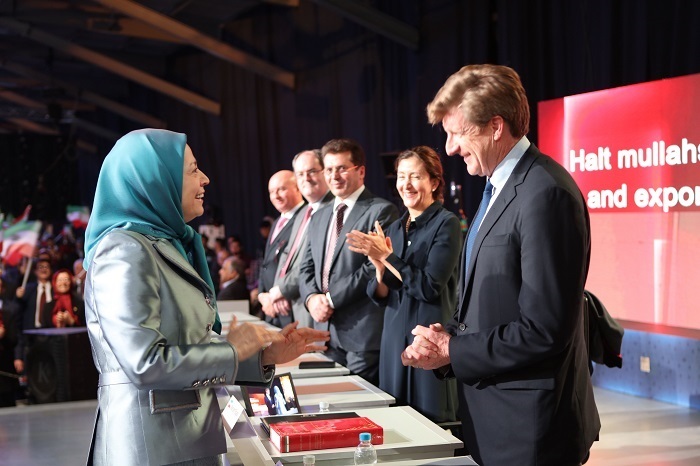 “It shows that the NCRI (the National Council of Resistance of Iran, the umbrella organization of the MEK) is a real force for change”, Kennedy said. 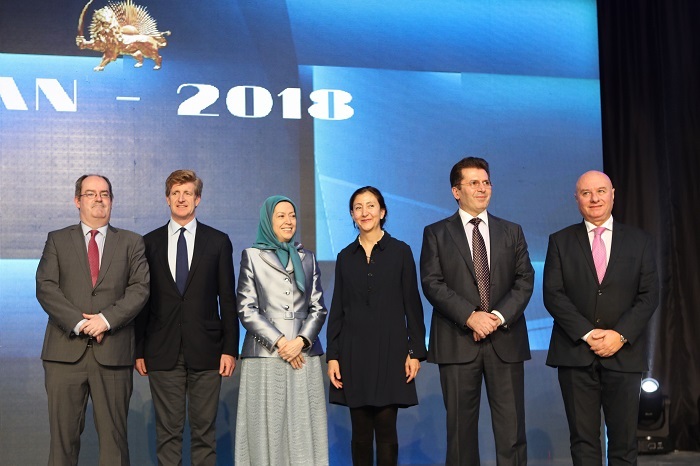 He also cited the MEK’s president-elect Maryam Rajavi’s ten-point plan as a “viable roadmap for the people of Iran to establish a fair and free and democratic secular Republic of Iran in this crucial juncture in history”. There are more signs of change on the horizon. Kennedy described how the majority of Iranians now live below the poverty line and corruption and unemployment are ravaging the Iranian economy. The protests themselves have become more anti-regime in nature. Slogans like “down with the dictator, our enemy is right here”, and “death to Khamenei”, have become commonplace in Iran. Kennedy predicted that change in Iran is coming. “The mullahs do not know what they are up against”, he said, “right here are wonderful media laboratories that are helping to disseminate the true message of what’s going on in Iran”. The regime’s routine human rights abuses are also beginning to earn it the attention of the international community. The UN General Assembly has adopted more than 60 resolutions condemning the regime’s actions. There is an increasing voice calling for an investigation into the regime’s most heinous crime— the execution of 30,000 MEK members in 1988. A recent Amnesty International report called for an investigation into the incident and for those responsible in the Iranian leadership to be held to account. Kennedy concluded by saying, “it is amazing what you have built in a year, and it says to me something very hopeful. 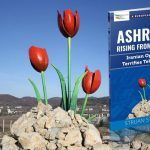 It says that if you could rebuild Camp Ashraf and Camp Liberty and you could build Ashraf here in Albania, then it won’t be long before you’re going to build Ashraf in Tehran”.